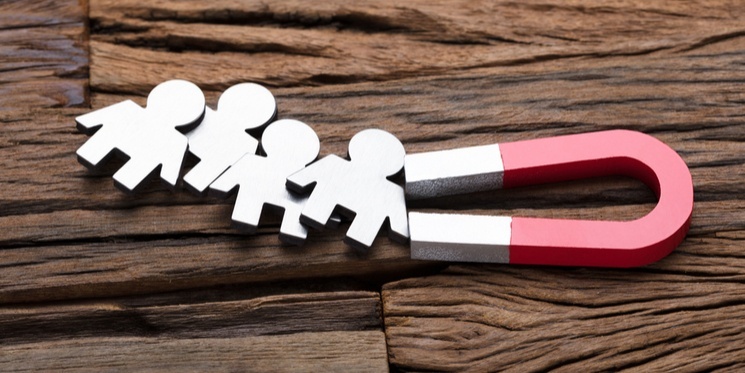 An effective lead generation strategy is a culmination of approaches that when combined, enhance your reputation, increase website traffic, and as a result, attract a steady stream of qualified leads. There are individual strategies that will enhance your overall approach, but what it really requires is a holistic effort. If someone asks you for one quick solution to becoming more healthy, how could you answer? It is well versed that improving your health requires a culmination of efforts over time: a nutritious and balanced diet, consistent exercise, adequate rest, limiting alcohol and protecting yourself from the sun - you get the picture. The same is true of lead generation. It’s a consistent effort, a combination of tactics across multiple channels, that when used effectively, generate profitable results. So if you’re looking for a quick shortcut, this might not be the blog post for you. Here, we list 5 of the most failsafe lead generation strategies. First and foremost, blogging. Blogging is necessary if you are to master the art of inbound B2B lead generation. The inbound philosophy posits that through regular, high-quality blogging, you achieve better SEO, increased website traffic, and position yourself as a thought-leader. All of which enable potential leads to find you. Upon analysis, it's likely that a high proportion of the prospects landing on your page are referral traffic, finding your business through search engines or social media. So you can use blogging as a vehicle to deliver your informative and educative content, demonstrating your expertise and solutions. Things are changing on the SEO landscape, and blogging will continue to play an integral part in keeping your website visible and fresh while enabling you to rank for a particular topic that pertains to your industry and your buyer's needs. Email marketing is now 47 years old, and is still heralded as one of the most effective marketing tools. There’s a good reason for that. It’s extremely flexible; content can be personalised, tailored and scheduled to suit the expectations of all of your contacts. Plus, it can be used to communicate pretty much anything. Additionally, it can now be tracked. Email marketing and automation platforms provides you with valuable insight into who is opening what and when, enabling you to tweak and amend your strategy to garner more engagement. Marketing automation platforms have helped businesses significantly increase their lead generation and revenue. For example, Thomas Reuters increased their revenue by 175%, while reducing lead conversion time by 72%, after employing an email automation strategy. Email is one of the most effective lead generation strategies as a wider part of your inbound methodology, but you’ll need to constantly be on the lookout information that will inform your strategy and workflows to generate more conversions. Not everyone will agree with the fact that social media is an effective B2B lead generation tool, as many struggle to see any significant return on investment. But, the trick is to devise an intelligent and tailored social media strategy which underpins all of your activity. Many organisations mistake social media platforms as a means to self-promotion, but continually filling your channels with news about your business will only defer potential leads. Having a presence on social media is about more than setting up a content schedule and publishing a few posts a day. Social media is your gateway to attracting qualified leads, but it’s knowing where they are and what they want from you which is your key to social lead generation. Consider social listening as a part of your strategy to learn what your potential leads are looking for on social media. What (or who) influences their buying decisions? What type of content are they sharing? Equally, you should focus your efforts on the platform(s) most popular among your customers. Your efforts are wasted posting filtered photos to Instagram when all of your prospects are debating software solutions over on Linkedin. Don’t worry; we’re certainly not suggesting you recite your children’s primary school books to your prospective buyers. Save those for bedtime. If we consider stories on a more conceptual level, they are usually centred around a protagonist with a problem or an obstacle to overcome, and a tool (a sword, perhaps, if we're talking medieval literature) that helps the hero conquer the problem and save the protagonist. The result? A happy ending. This metaphor underpins customer case studies and success stories, story-telling regularly employed by B2B marketers. Imagine you are that hero, the tool is your product (or service), and the protagonist if you prospect. The prospect should be at the centre of the story. Can they identify with the problems and see themselves as the protagonist? Creating an emotional affinity with the prospect through storytelling is an exceptionally effective means to showing, rather than telling them, that you have what they need. What are your industry takeaways? Once you think about these in terms of your plot, you can build an effective story that will act as cornerstone content for your website. Conversion paths consist of well-optimised landing pages, calls-to-action (CTAs) and thank you pages which turn anonymous website visitors into leads. Something as minor as one word or change of colour, can impact the rate of conversions. Conversion path content should be attention-grabbing, and the language should be context-driven, speaking in a tone that resonates with the visitor and reassures them that your content is as valuable as their contact information. Once converted, you can follow up with tailored and relevant content to move the lead further down the sales funnel, otherwise known as lead nurturing. Effective B2B lead generation can result in more customers, better revenue and increased sales. It's the crux of inbound sales. With sales and marketing working in close alignment, a stream of high-quality leads can be consistently delivered to sales departments, bolstering your business development. Lead generation strategies require long-term commitment and nurturing, if they are to bring about sustainable revenue. Use these failsafe strategies, to generate more leads for your business.